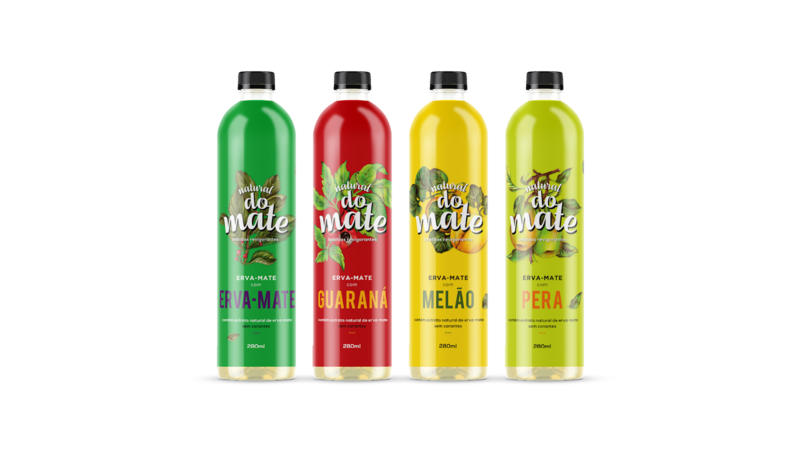 Natural Do Mate is an innovative drink from Xaxim, Santa Catarina, Brazil. The mix of fruits and yerba mate natural extracts put together in refreshing and invigorating products. The strategic and creative direction was to create a new visual pattern in the segment, differentiating the brand from other aerated drinks. So our approach was handmade illustrations and vivid colors to cover the whole bottles and cans. 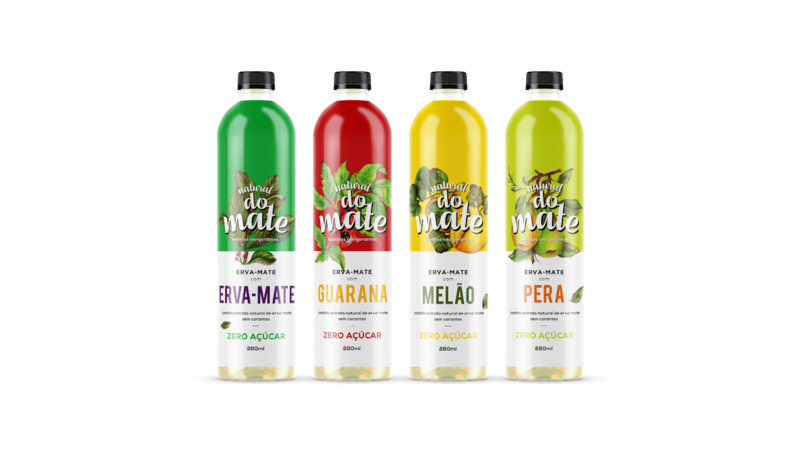 We developed labels for yerba mate, melon, pear and guarani flavors, also in zero sugar version.